Happy New Year to all Gorillaz-Unofficial visitors! What a Gorillaz year it has been. We will as usual be taking a look back over the last Gorillaz year, expect that in the next few days. For now, please enjoy a small New Year’s gift (originally intended for Christmas, but The Fall got in the way!). 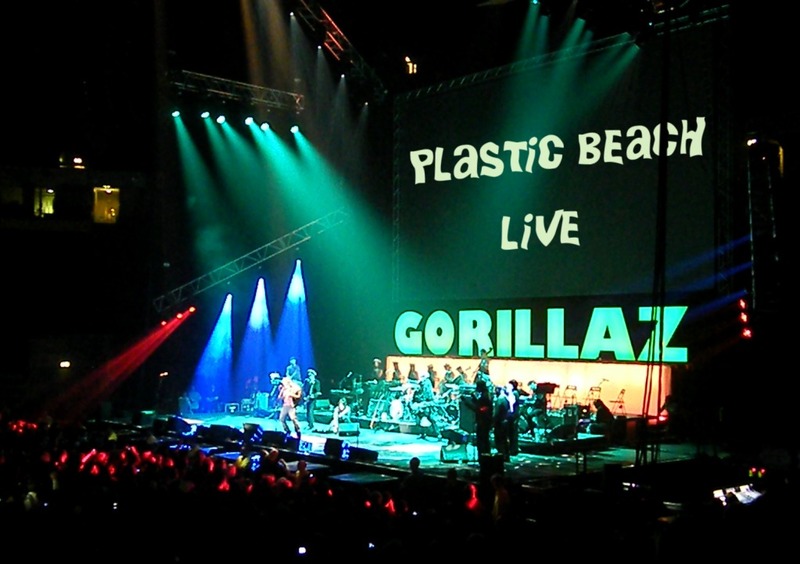 ‘Plastic Beach Live’ is a 2 disc compilation paying tribute to Gorillaz live in 2010. Disc 1 features the whole of Plastic Beach live including ALL the collaborators recording live (apart from Snoop who never performed WTTWOTPB live, but additionally including the Hypnotic Brass Ensemble on Broken and Plastic Beach) compiled from various gigs from the best possible sources. Disc 2 is the best recordings of the other 17 tracks performed around the world, featuring collaborators where possible. All tracks have been normalised for volume and are taken from the best sources available. Disc 1 is all from tv or radio – Disc 2 is more mixed, a couple of the tracks were taken from Youtube recordings and a bootleg. Thanks to Rust for the cover – other alternate covers are also available in the zip. Re-encoded only once more from sources, at 320kbps mp3. For all source info see the include release notes or click ‘Read More’ beloe. A compilation of the best available versions of all the tracks played live by Gorillaz in 2010. If burning to 2CD, use the overburn functionality on your CD burner for Disc 2, or drop one of the bonus tracks, to fit it on one 80 minute CD-R. The links don’t work anymore. Could you please repost? THANK YOU! OK Thanks by the touch…. Wow, this exactly cleared some issues up. One essay i am having difficulties with is a definition for an “who we are” The teacher says that we may have to dig deep into ourselvesbuilding maintenance and see what we really are. But I think it would be more fittingto use thesis writing service.